Using honeycomb pads as cooling media, the Orient Electric Super Cool CP3001H air cooler offers superior cooling performance to suit your needs. When it comes to form and functionality, this machine emerges out as a sheer winner. 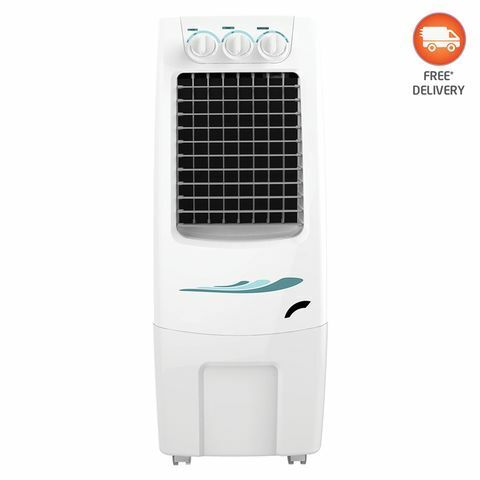 The personal cooler featuring motorized horizontal and vertical louver movement has been ergonomically designed to fit perfectly in any corner of your room to cool down every nook and corner. The cooler has a tank capacity of 30 litres, air throw of 7.6 meters and air delivery of 1300 cubic meters per hour. The 3-speed control lets you adjust the speed as per your liking. 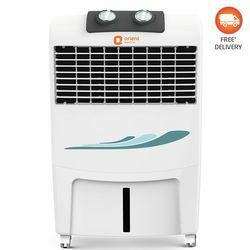 Moreover, you do not have to worry of the unexpected power cuts, as this air cooler also runs on inverter power. Easier to maintain and economical to operate, Super Cool CP3001H air cooler offers true value for money. Using honeycomb pads as cooling media, the Orient Electric Super Cool CP3001H air cooler offers superior cooling performance to suit your needs. When it comes to form and functionality, this machine emerges out as a sheer winner. 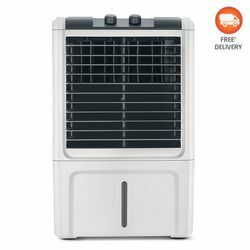 The personal cooler featuring motorized horizontal and vertical louver movement has been ergonomically designed to fit perfectly in any corner of your room to cool down every nook and corner. The cooler has a tank capacity of 30 litres, air throw of 7.6 meters and air delivery of 1300 cubic meters per hour. The 3-speed control lets you adjust the speed as per your liking. 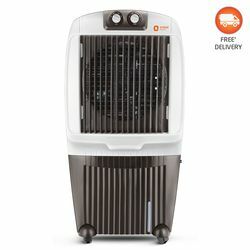 Moreover, you do not have to worry of the unexpected power cuts, as this air cooler also runs on inverter power. Easier to maintain and economical to operate, Super Cool CP3001H air cooler offers true value for money. One of the third class product ever seen. Totally wasted of money.